One of the most vital missions of the church is to be there when people need support. If you are going through difficult times or seeking God’s will on a major life decision we are here to support and hold you up before the Lord. The church stands ready to assist and as the pastor, I would be honored to pray for you. 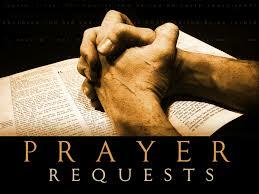 You can submit a prayer or care request by filling out the form below. It will come straight to me and I will treat it with the utmost confidence.